An Innocence Person will be locked up in need of a bail bond if AB1014 Is passed. People - I'm just telling you what will happen if AB1014 does pass.....Your right to remain silent will not mean anything, and your property rights will follow the same path. People of California - They are at it again. Your elected officials will be taking more of your rights away. This time it's in the form of AB1014. A measure that would allow virtually anyone to petition a court for a “Gun Violence Restraining Order” or “firearms seizure warrant” based on hearsay. That's right, anyone can call the police and say that they think you are unstable. I predict calls to the police in connection to demotic violence regarding AB1014. The other partner will retaliate with a AB1014 claim or the police will just search your house looking for your guns under the AB1014 law. The police will respond and take your guns away under the pretext of public safety. Please vote NO on AB 1014. (you don't vote your elected official does) Oh sorry about that, your elected official who knows how to keep you safe will handle that vote. Before you know it, another part of your freedom will be taken away. Here is how it will go down. Everyone reading this will do nothing. No one will call their elected official and voice their disapproval, AB1014 will pass. Sometime after AB1014 has passed into law your girlfriend / Boyfriend or anyone for that matter will be mad at you, call the police, and state that you are unstable. The police will come and take your guns, you will be arrested for resisting arrest. You will need bail. Put my contact info in your phone now. 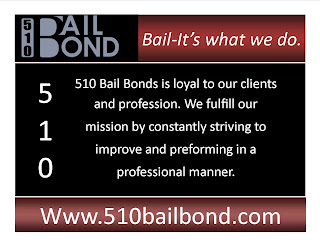 http://www.510bailbond.com/contact-us you are going to need it sooner or later. Remember, it is better to know me and not need me than to need me and not know me. 510-760-9409 Contact information for 510 Bail Bond. Servicing the bail bond needs of the greater Bay Area. Fremont Bail Bonds 510 Bail Bonds on Jail Overcrowding. I received a bail call from a client wanting to know how much it would be to bond his son out of jail. I went through all the usual questions and found out that there was a warrant for his sons arrest regarding a missed court case for a traffic violation. My assessment was this would be a very low risk bond and I would jump at the chance to write it. No other run in with the law, young man, college grad with a good paying job that forgot to take care of a ticket. Let me call the jail and confirm the bond amount and I'll call you right back is what I told the father. After talking with the jail I find out that there is a no bail, no cite hold on the inmate. You have to be kidding, the warrant is for a minor traffic violation. "Ya, your right, he must of pissed someone off at the court" was the officer's response. With the over crowding of the jails as they are, why are we jailing people for minor traffic violations and holding them without bail? What is wrong with our criminal justest system? Why do they think this is necessary? Why do we put up with this? More work / job security for our government workers (PD, Courts, Jails) at the expense of your freedom. People you may want to start working on these questions with your local politicians before you find yourself locked up for a minor traffic violation. . Until then, there is always www.510bailbond.com to bail you out. You have just graduated with your degree in ____ you can fill in the blank. What are you going to do? Where will you work, live or play for eight hours per day for forty hours per-week? Most of you have been told that you will save the planet, save the world or just make the world a better place to live. You heard it from your teachers, all those graduation speeches confirmed it for you. You have your whole life ahead of you, your future is bright. About three week later when you still have not found a job and the world is still spinning without you working, you may want to give a career as a bail bondsman a consideration. But before you say, "Ya right," consider this, your not qualified for the job. You will have to take another class, complete twenty hours of training and get this - pass a state test before I can even consider hiring you as a bail bondsmen. That's right, another test must be passed before I can even consider hiring you. You maybe thinking what does a degree in commutations have to do with bail? Today's bail agents have to be able to "Speak the Language of Bail" be able to communicate with the well educated and to understand street slang. Today's bail agent will find themselves in front of a Judge arguing a bail motion or recording a deed at the county recorders office. The modern bail agent may negotiate a $153,000.00 or more bail bond at an attorney's office or in the home of the indemnitor and have to explain the process intelligently, in terms that their clients would understand. Today's marketing for bail is very complex, internet marketing and S.E.O. intensive. Your degree in commutations is a start but you have so much more to learn. Fall off the first page of a search engine and your out of business for awhile. There is not time in bail for you to take time off and find yourself, there is always someone coming up that is more hungry and more determined. 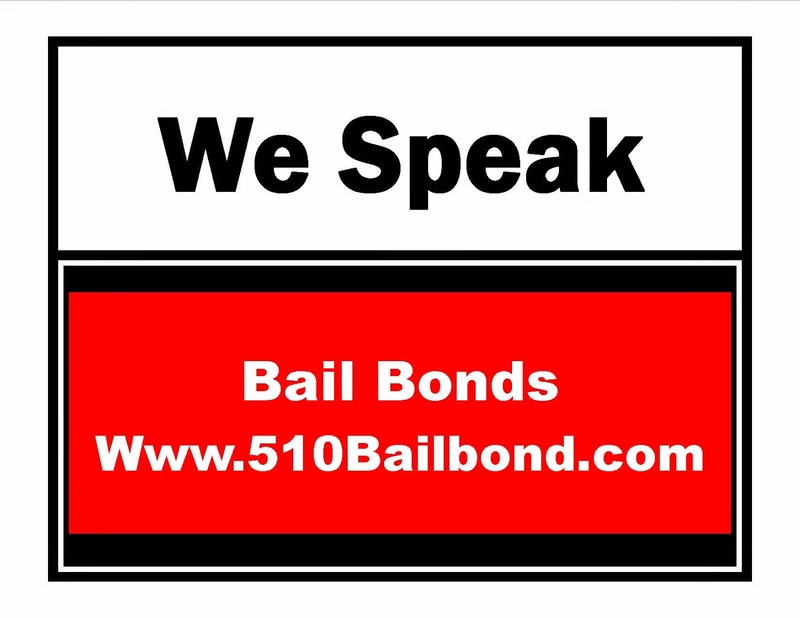 The bail bond business is a high risk, high reward job for those that know how to "speak bail." Don't know what to do, not making the money you though you would? Fill out our on line job application and we can direct you to the classes and training needed to begin a career in Bail.